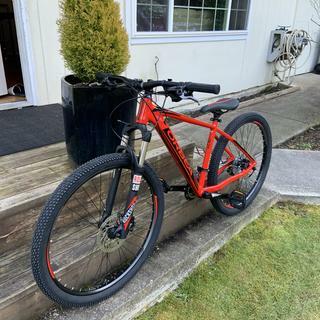 The best bikes are the ones that are ridden, and the Orbea MX 10 is begging to be taken around town for fun and adventures. A sturdy yet lightweight frame was brought to life using lightweight alloy tubing is carefully shaped and manipulated to improve strength without a weight penalty. The MX Compact Geometry used on the Orbea MX 10 provides an efficient and stable platform for getting outside and enjoying a simple bike ride. Through use of engineering software Orbea was able to reinforce the headtube junction of the MX 10 to create a super strong neck, which will be much appreciated on those rough and tough, rooted and rutted sections of trail. The Orbea MX 10 benefits from a handful of frame features aimed at making your ride more enjoyable. Internal cable routing not only keeps your cables free of muck, but also cleans up the look of your frame. A bent derailleur hanger can mean life or death for your frame if you happen to take a spill - luckily the Orbea MX 10 comes with a replaceable derailleur hanger. Post mount disc brake mounts are becoming an industry standard due to their easy and precise setup, making them an obvious choice for the Orbea MX 10 while the easy rack mounts allow you to pack up and go in a matter of minutes. The Orbea MX 10 is truly a get up and go, do anything, ride anywhere type of a bike that you’ll make time for just to get out and ride. The Orbea MX 10 features a respectable build kit that’ll suit just about anyone’s needs. The Rock Shox fork features 100mm of suspension travel for eating up road and trail vibrations. A full Shimano drivetrain includes Shimano Deore shifters, front and XT rear derailleur which provide smooth and precise shifting. While Shimano hydraulic disc brakes will ease you into a nice, controlled stop every time. To top it off, the Orbea branded cockpit is an ideal balance of quality, strength, and performance - a fitting match for such a beautiful bike. Lightweight alloy tubing with MX compact geometry. Orbea MX Alu only disc Internal routing. Decent quality. Paint was chipping off the frame after one ride. Quiet, quality components for price. Took a couple rides for the shock to finally lockout after lockout is engaged. Easy to set up. Bike is heavier than expected and bigger than expected as well. Bike came with a scuff on the front of frame. When I switch pedals the crank arm stripped out on the first pedal and went in at an angle. I personally would not buy this bike again. 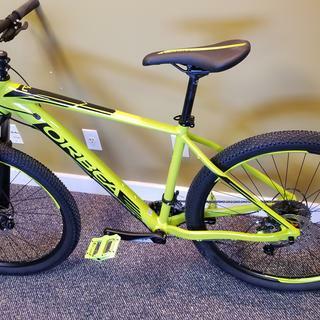 First bike ordered online. I am very pleased with the quality of the bike for the price. Delivered quickly. Also, I've been doing my own builds recently so I really checked over how the bike was put together. A+ work by Danny. All I had to do was put the front wheel and the pedals on. Excellent bike and JensonUSA customer service too. I got this bike for Christmas 2018 from my wife. I recommend this bike to everyone. This bike is peace of beauty. put on the front wheel and pedals and you are on the road in minutes. I'm 5' 10 1/2 " and got the medium. that only gives me an inch with my feet on the ground. It's a solid shifter. 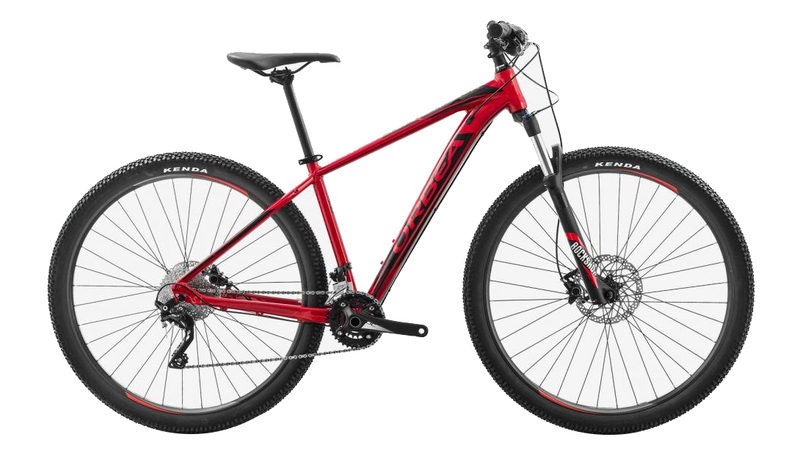 I don't think you'll find a nicer bike with the same features at the price. Looks nice like most orbea bikes. Confusing with the mx models. This is a 27.5 not a 29er like other mx’s. Also says internal cables but should say except for one brake cable. 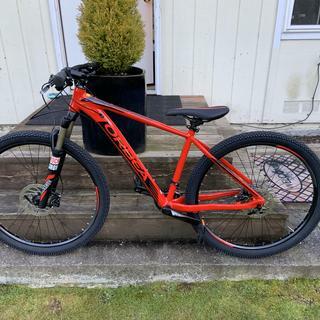 Picture shows XCT fork but description says RockShox TK fork. Can anyone confirm which is correct? BEST ANSWER: Hi. Wheel size of my version is 27.5. Is this the actual picture of MX 27 10? Or is it MX 27 40? BEST ANSWER: The picture is incorrect, the MX27 10 has the specs that are listed in the description, not what is shown in the picture. A request for an updated picture has been made. If you have any other questions on the bike, or would like to get one on order, please give me a call and we can get you all set! Keep pedaling! What is the crank length and bcd? Also, what is the maximum tire clearance? BEST ANSWER: I ordered this bike from Jenson in Jan, and it was made in portugal.